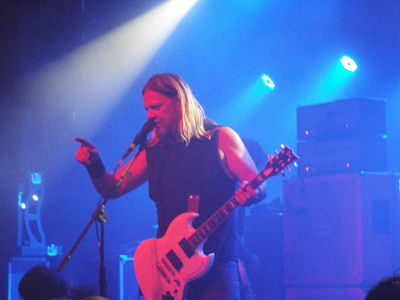 Having delivered two memorable performances here in recent times (2015 and 2016), tonight’s show (October 22nd, 2018) at The Tivoli Theater marked Pepper Keenan-era CORROSION OF CONFORMITY(COC)'s first gig in Dublin in support of a new album in twenty-two years; the previous occasion being an appearance in promotion of their Wiseblood album as support to METALLICA at The Point Theater (now The 3 Arena) on October 9th, 1996. Ten days before their impressive new album, No Cross No Crown was released, the current No Cross No Crown World Tour kicked off in Omaha, Nebraska on January 2nd, 2018. However, despite touring extensively since then, neither the United Kingdom nor Ireland’s COC fans have seen much of the band or the present tour; before tonight only two shows were performed in England in June (Download Festival at Donington and in Colchester) and none at all in Ireland. The disappointment of a lack of No Cross No Crown shows here was recently lifted when the band announced a full tour of the U.K. and Ireland consisting of eleven shows in total which started in Dublin on Monday 22nd October and finished last Saturday night, November 3rd in London. The Tivoli theater is located about a mile from Dublin’s city center and is only a stones throw away from the historic Dublin Castle. The capacity of the venue is approximately seven hundred people consisting of a main floor standing section bordered on three sides by a raised area which is also standing. It is the seventh music venue in Dublin that Pepper Keenan has performed live at, either as a member of COC or DOWN; The S.F.X Center (now an apartment block), The Point Theater, The Ambassador (now an exhibition center), The Academy, The Button Factory and an impromptu cover of MOTORHEAD's "Ace Of Spades" at The Gypsy Rose Rock Bar have all previously seen Keenan in action. On arrival to the venue this evening at 8:15pm, almost an hour ahead of COC’s headline slot, the venue looked completely full. Main support on the night came from Irish sludge/groove metal act TEN TON SLUG, who delivered a very heavy thirty minute set which received an appreciative response from the heaving crowd. Ten minutes behind their scheduled time of 9:10pm, the headliners took stage. The quartet (Pepper Keenan, Woody Weatherman, Mike Dean and Reed Mullin) are presently touring without drummer Mullin who is recovering from knee surgery. As in their two most recent live appearances in Dublin, an instrumental track "Novus Deus" was chosen to open tonight's show. Although shorter in length to the instrumentals "These Shrouded Temples" and "Bottom Feeder", "Novus Deus" is no less eerie which set the tone and atmosphere at tonight's show perfectly. 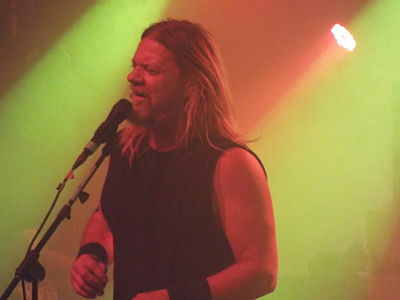 Without pause, another track culled from the new record was played, the bruising "The Luddite" which is classic Pepper Keenan COC material in that it consists of a heavy, pounding riff contrasted with soulful chorus vocals. Both tunes were performed brilliantly and were followed by a number of welcome set list surprises. The spine tingling, stunning "It Is That Way" found the crowd in as fine a voice as Keenan. One of three songs on the night taken from America's Volume Dealer (2000), the crushing "Diablo Blvd" was song number four on the night. 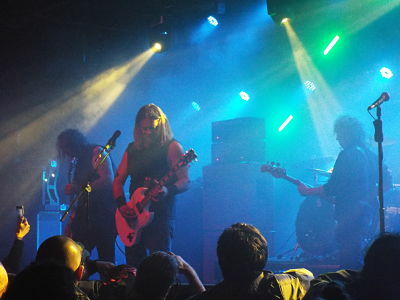 The atmosphere in the venue, which had been building steadily, reached boiling point with the immense "Seven Days" from their essential Deliverance (1994) record. Before the night's next track, Keenan took a moment to address the crowd. "You know, it means a great deal for us to be back in Dublin tonight. We couldn't do any of this without our fans and I can assure you, we won't do any of this without our fans. We deliberately haven't performed this song live before. Knowing we would be coming to Phil Lynott's hometown, we held it back just for you Dublin" was the New Orleans native's introduction to the THIN LIZZY styled "Forgive Me". "Born Again For The Last Time" from Wiseblood (1996) then made an unexpected appearance; many diehard COC fans stated after the show on social media that they believed that it had been the first time that the tune had ever been played live by the band twenty-two years after it had been published. The half way point in the ninety minute show saw the other two tracks from America's Volume Dealer which were performed on the night. "Okay, so I met an American guy earlier on today who told me that he's dedicated his life to living in Ireland. He said he'd be at tonight's show. Let's see if I can see him in the crowd. Yes, there he is. Okay, so this song is obviously not about him...this song is called "Who's Got The Fire"" quipped Keenan. The introduction to the tune drew audible laughter from the crowd who responded positively to both it and "13 Angels". After the trippy "13 Angels", "Paranoid Opioid" kicked off another monstrously heavy twenty minute spell of the show. "We wrote this song years ago when we were young. Looking at the politics of today, I guess things have gone full circle since then. This song is as relevant as ever. This song is called "Vote With A Bullet"" was how Keenan introduced the metal classic which turned out to be the only track played on the night from the excellent Blind (1991) record. It was executed flawlessly and its completion drew a huge roar from the audience. Two tracks from Deliverance (1994) brought the show to a close. The smile-inducing groove of "Albatross" and the staccato riffing of "Clean My Wounds", which included Pepper Keenan playing part of the song while standing in the first ten rows of the crowd, brought another worthwhile, memorable visit by COC to Dublin to a finish at approximately 10:45pm. "Born Again For The Last Time"